Buying an air compressor is truly a practical choice, whether it would satisfy your carpentry hobby or your professional needs. There are different types of Husky air compressors and their corresponding parts may also vary from one model to another. Other Husky air compressor parts may not be mentioned here as the air compressor parts vary from model to model. However, this will provide you a quick overview about air compressor parts and their corresponding functions. Some parts may have a different name to another model but works with similar function. Husky compressor motor – Husky compressor motors run in 1.5 HP to 7.5 HP, depending on your air compressor type. Husky pump assembly – The pump assembly may be single or two-stage, depending on your need and preference. This could be either oil-less or oil lubricated. Husky belt drive – This is actually a part of the pump assembly and is vital to keep the pump going to facilitate air compression. 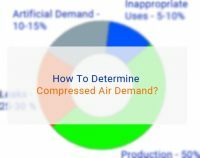 This feature may be absent in other air compressor units. Husky air filter kit – The husky air filter kit contains the base, cover, element, which are necessary to protect the pump assembly. Husky compressor safety valve – This is a safety feature every air compressor unit should have. Husky air tanks – Tanks are usually made of steel and they are available in varying sizes and capacity (measured in gallons), depending on your air compressor type. Portable air compressors usually have smaller tanks. Husky inflation hose – The inflation hose is needed to connect with your other air tools. 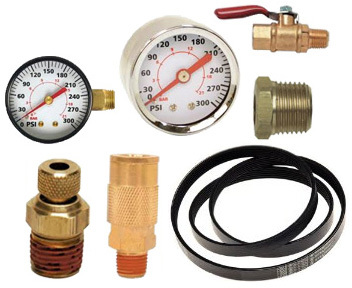 Husky pressure switch and pressure gauge – Air compressor owners are encouraged to have a spare pressure gauge and/or pressure switch in case they become damaged. These are important to gain control in using your air compressor. Pressure gauges may measure up to 250 psi or more for industrial types. Husky pressure reducer – Aside from the pressure switch and pressure gauge, some air compressors have a pressure reducer to help you control the machine. For owners that have problems with their husky compressor pump, it is possible to purchase a brand new pump for you to use. However, this might not be practical especially if your problems are for certain parts only. If you just need the cylinder head or let’s say the valve plate assembly, you can actually purchase them one by one. Other pump parts that may be available to your local stores are gasket crankcase, flywheel, piston, washer, bearings, and tube. In case you did not know, Husky is actually Home Depot’s line of air compressors. People are actually curious if Home Depot is the one that manufactures the Husky air compressors or they just have it assembled by another company and establish the air compressor products as Husky brand. Some people who bought their own Husky air products believe that it is actually similar to another brand of air tools that is manufactured by the GMC. Knowing where the Husky compressor parts are being manufactured is a huge factor to people, especially if there will be certain problems that might need replacement of the spare parts. There were instances when people thought of Campbell Hausfeld as the main manufacturer of Husky air compressors. Some would say these air compressors, both the Husky and Campbell Hausfeld, are made and assembled by another Chinese company. There are also online discussions that talk about Husky air compressors and Husky air compressor parts. Some people are satisfied with their unit but in the long run, they notice some problems to it. Most people encounter problems with their compressor motor while others complain that their Husky air compressors do not restart. In situations where you experience machine faulty and you are not certain what to do, do not try to troubleshoot it yourself without knowing the root cause. When addressing machine problems, it would be best to read the manual guide first and understand how the Husky compressor parts work. You might have just forgot to tighten or fix some parts in place or you have not connected it to the rest of the machine body. Identify the model and spec of your Husky compressor. Be sure to provide this information whenever you make a purchase to your local tool shop or even to the nearest Home Depot. If you are trying to purchase the air compressor parts online, you have to determine first if they are authorized by the manufacturer to sell it. This is important because you have to make sure that you get genuine Husky compressor parts. 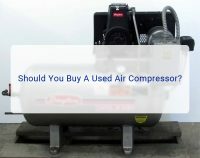 In case the parts you purchase are not compatible or not genuine at all, chances are you will only cause further damage to your air compressor unit. Make price comparison and be sure you get enough details about the parts you are going to buy. For example, you can purchase a pump assembly but some sellers do not tell you that the fan or washer is not included. Read further so that you will not be tricked upon purchase. Air compressor units are sensitive in a way that it may not work if you placed a wrong or incompatible part to it. When buying the spare parts, always check on further details to make sure you have the right piece. Some air compressor models, although similar, have actually dual counterparts. Always double check if you are acquiring the one intended for your model type. 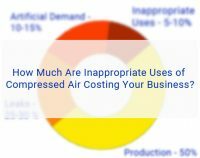 Purchasing Husky air compressor parts can do a lot on your part especially if you want to save money from hiring a qualified technician. But when serious problems arise and even though you have successfully replaced the part you thought has the problem, hand it over to professionals already to ensure safe troubleshooting. The inflation hose on My Husky 120 Volt Inflator Model #HY120 has started to leak where the hose attaches to the fixture that attaches to the inflator. Where can I purchase a replacement hose? Same happen to mine, need a new hose. What is part no.# and where can I purchase one. If you want to repair your Inflator, then you should go to the Husky 120 Volt Inflator Model #HY120 page and in the comments area you will find a way how to easily and cheaply repair the hose. 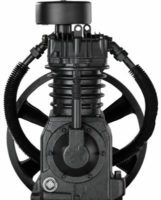 Looking for a Husky 20 or 26 gallon black model oil-less compressor model no. 947265 / F2S20VWDV / F2S26VWDVP specifically. Looking for the motor or parts, as I need the metal plate off the side of the motor that has 4 bolts, holds the piston assembly in place, along with the piston assembly itself. My unit fell over & broke needing new parts that exceed the value of the unit. Used parts will do just fine, email me if you have or know where I can source these parts used. Thanks. I also need a new hose for 120 volt husky inflator, how/where can I get one? Where can i get a new reed for my husky 8 gallon 2530B?